Homecoming King and Queen were crowned during halftime last Friday at the Homecoming game against Middleton. Check out this photo gallery to see photographs from the halftime coronation. 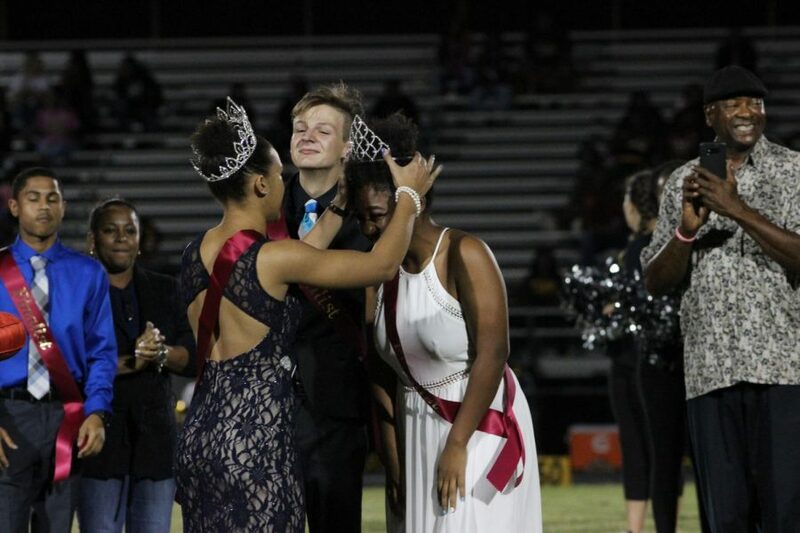 2016 Homecoming Queen Mckenna Tyson crowns 2017 Queen Zjala Phelps during the Homecoming game against Middleton.